Getting older doesn’t have to mean becoming sick and feeble. While it’s true we can’t change our genetic makeup, scientific research now reveals that through our lifestyle choices, we can change how our genes express themselves. And perhaps the best news of all is that it’s never too late to start on the road to optimal health! Below are five tips to help you slow down the aging process, and ward off a number of diseases that you might have thought were otherwise inevitable. Tip #1: Do resistance training at least three times a week. As we age, we lose about five pounds of muscle mass per decade, which leads to declining strength and poorer functionality. To combat this, I suggest incorporating weight-bearing exercises into your workout, at least three times a week. Within just 6 months, resistance training can reverse the aging process at a genetic level, not to mention the benefits you’ll reap at the hormonal, enzymatic, and chemical levels, too. Not only will you keep your muscles toned and improve your range of motion, balance, and posture, but you can slow down (or stop altogether) diseases caused by a sedentary lifestyle, like diabetes, heart disease, and even osteoporosis. Regular physical exercise also helps prevent colon cancer and other cancers linked to obesity. Tip #2: Enjoy a mix of nutrient-dense foods every day. Do yourself a favor and cut out the simple carbs, like pasta and sugar, which do nothing but cause inflammation in your body. I also recommend you eliminate as much red and processed meat as possible. Brussels sprouts, high in vitamin C, to boost collagen in your skin and reduce wrinkles. It’s proven that a diet rich in veggies, fruit, beans, fish, and whole grains, can help you to live into your golden years without suffering major chronic illness. Start eating right today, so you can continue living the good life tomorrow. Tip #3: Get sufficient sleep. Sleep is necessary for your body to repair itself, and to give your heart a rest. When we’re behind in our sleep, our memory and cognitive functions suffer. Our ability to concentrate, reason, learn, and problem-solve is impaired. But the effects of sleep deprivation are more far reaching than just that. Research in 2013 revealed that sleep deprivation “altered the expression of 711 genes, including ones involved in metabolism, inflammation and immunity, which may raise the risk of conditions from heart disease to obesity.” Chronically missing out on your sleep puts you at risk of fatal diseases, including heart disease, heart attack, heart failure, high blood pressure, stroke, and diabetes. And if after reading all that you still need another reason to get your sleep, what about the fact sleep loss has been shown to age your skin faster? When you don’t sleep enough, your body releases the stress hormone cortisol. Too much cortisol in your system breaks down the protein that keeps skin smooth and elastic (collagen). Tip #4: Make time to meditate. Chronic stress has been proven to speed up the aging process by shortening the length of our DNA strands. It adversely affects our immune systems, contributes to weight gain, is linked to heart disease, and ultimately shortens our lifespans! And while we can’t completely eliminate stress, we can learn to manage it. Meditation practice improves your physical health by lowering stress levels and overall anxiety. In 2013, researchers reported evidence that mindfulness meditation has molecular effects at a genetic level on our bodies. In fact, the American Heart Association endorses the practice to prevent heart disease. 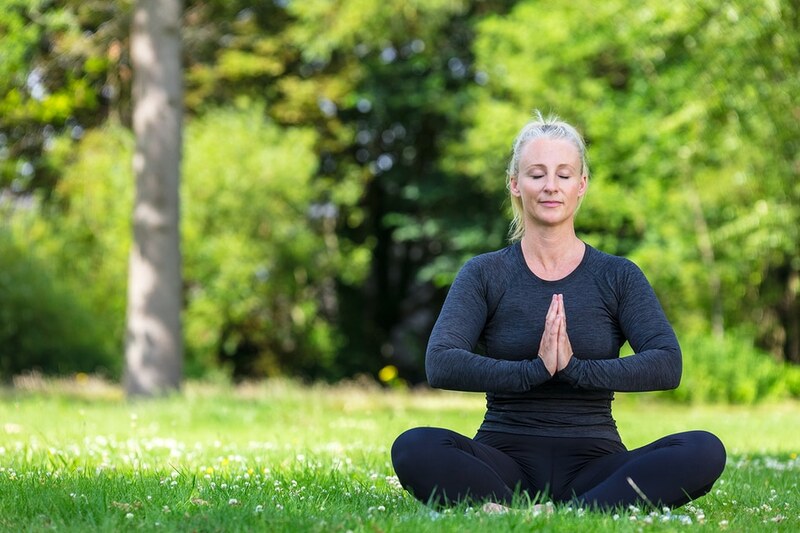 In just 8 weeks, the power of meditation can have noticeable effects on your stress levels. Added bonuses are that the practice can help you to foster deeper, more meaningful personal relationships, and you may even find that you experience improved cognitive functioning and increased productivity. Tip #5: Maintain a positive attitude about aging. The flipside is that people with positive stereotypes about aging experience better health and bounce back quicker after illness. In fact, they are 44% more likely to fully recover from severe disability than those with negative age stereotypes. And even if you have a health condition, staying positive can keep you alive longer. We now know for a fact that our lifestyle and attitude can significantly affect us as we age. We don’t need to succumb to illness and frailty as the inevitable. Take time today to help yourself live optimally, and incorporate the above tips into your daily routine. The more you do, the better you’ll feel. And the better you feel, the more you’ll want to do. Here’s to staying young and healthy! 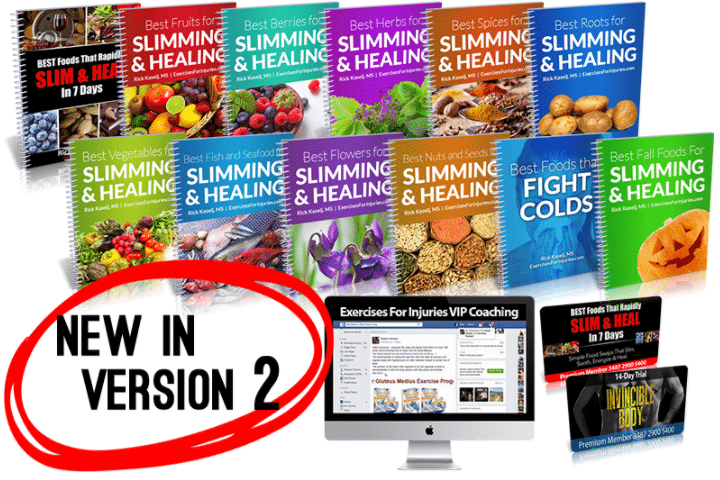 If you want to trim down your body, get younger, increase your metabolism and energy, and heal your pain then check out the Best Foods That Rapidly Slim & Heal In 7 Days.